Martech startup Cognitives has rebranded as Cooperate and relaunched its marketing operations platform. Marketing technology company, Cognitives, today announced it has completed a rebrand and will begin operating under the name, Cooperate. 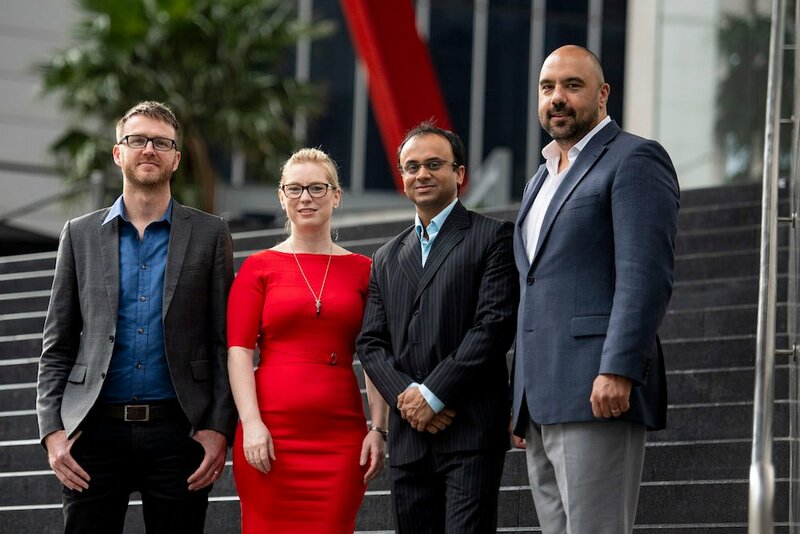 The company will also launch its reimagined product, following a collaborative development phase with leading brands, including media company, AAP, NASDAQ-listed software company, DOMO and two of Australia’s leading universities, Monash University and UNSW. In this time, Cooperate has demonstrated 200 per cent YoY growth, with plans to become the leading marketing operations platform for Australian brands, across sectors including the financial services, healthcare, education and not-for-profit. This announcement comes as Cooperate moves to align the company’s brand with its long-term vision of aligning marketers and the companies they work in – to better understand the customer journey, deliver effective content at each stage of that journey and gain insight into performance. Cooperate is the brainchild of longtime entrepreneur, Justin Cannon, ex-Xero and GEO manager and SaaS go-to-market expert, Amy Walker, ex-marketing sector to product manager and startup mentor, Tom Spencer, and seasoned product developer, Rohit Gupta, a co-founding team whose complementary skill sets weld strongly together. Backed by McPherson Media Group and media veteran, Alan Kohler, Cooperate is one of few Australian startups bucking the trend towards seeking large injections of venture capital, having mostly grown from revenue to date. Justin Cannon, co-founder and CEO of Cooperate, noted the rebrand comes off the back of an intensive and collaborative development phase, dedicated to working closely with Cooperate’s customer base to perfect the company’s product offering. Mr Cannon commented: “This rebrand signifies a huge step in our journey as the Cooperate platform is now exactly where we want it to be. We’ve been working directly alongside our customers, listening to their needs and iterating bit by bit, so that now we are in an advantageous position of rolling out the platform full steam ahead, with the knowledge that there are no major iterations coming up. “This client-centric approach was a deliberate focus for us. We wanted our customers to come along on the journey with us and help build the perfect solution for all-not just some-of their everyday pain points. Now that we have reached the stage of ticking all the boxes for them, we are excited to share with more Australian and New Zealand businesses what we have created,” Mr Cannon said. Cooperate is designed to provide ultimate visibility and control over brands, with the Cooperate platform allowing organisations to visualise their customer journey, deliver great content at each stage of that journey and track how it all performs. By bringing people, processes and content into one place, the platform ensures brand consistency, improves work efficiency and provides greater insight into future marketing strategy and planning. With her extensive background in the SaaS sector, including working with brands like Xero in its early days and NZX-listed company, GEO, co-founder and Head of Growth, Amy Walker, said she is excited to be solving real, everyday pain-points for marketing teams. “My time at Xero and GEO prepared me well for taking on the co-founding role with Cooperate. I’ve had the benefit of past experience and hindsight to avoid some of the more common pitfalls startups make, which has enabled us to work stronger as a team and achieve greater results,” Ms Walker added.